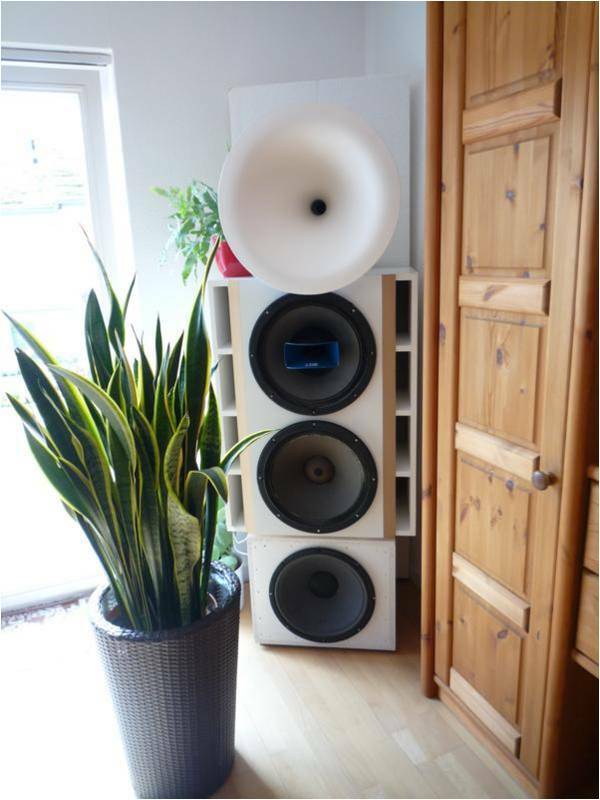 This "Sigi Audio Setup"submission comes from Siegfried Maiwald (Sigi). 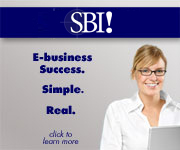 Sigi lives in Wuppertal, Germany. 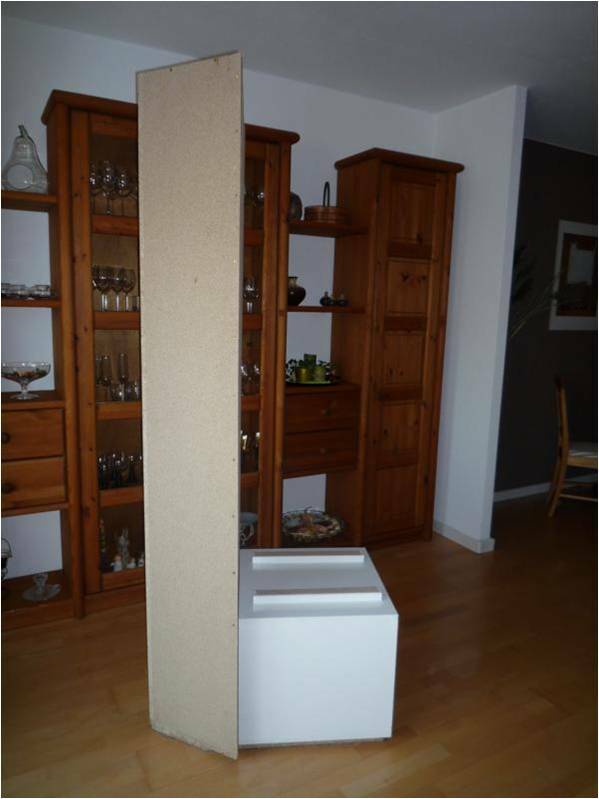 Thanks to Sigi for sharing your DIY speaker systems with us! 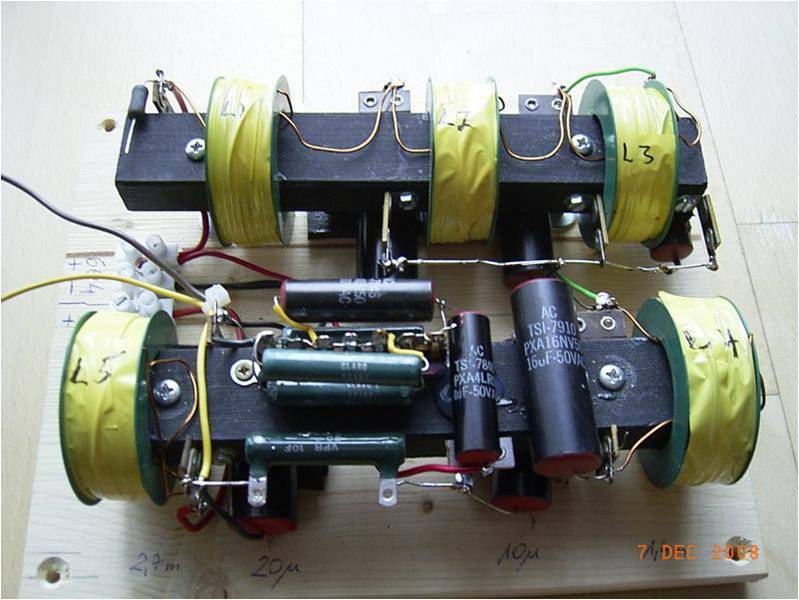 Apart from DIY speakers, Sigi DIY tube amplifiers as well, like the 1626 and 6L6 amplifiers. 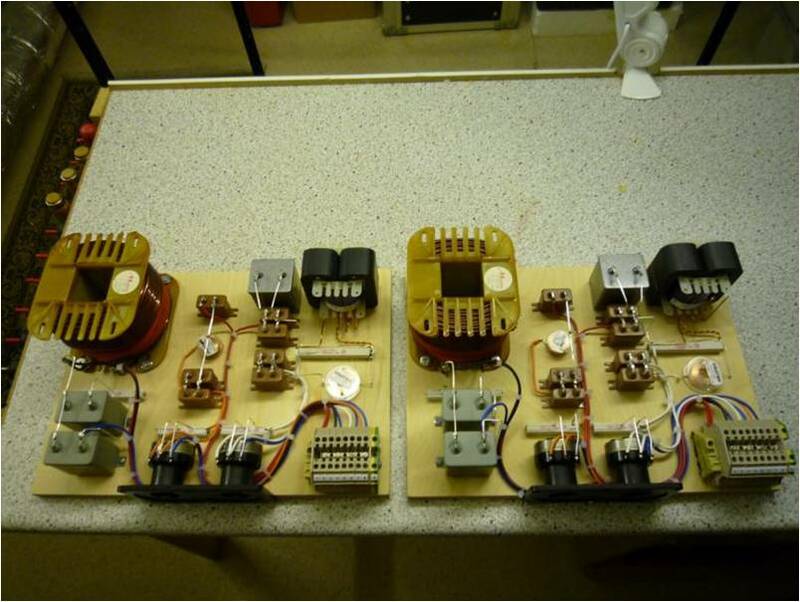 Hope we can hear from him soon on the DIY tube amplifier write-up! All of them have their advantages and disadvantages. 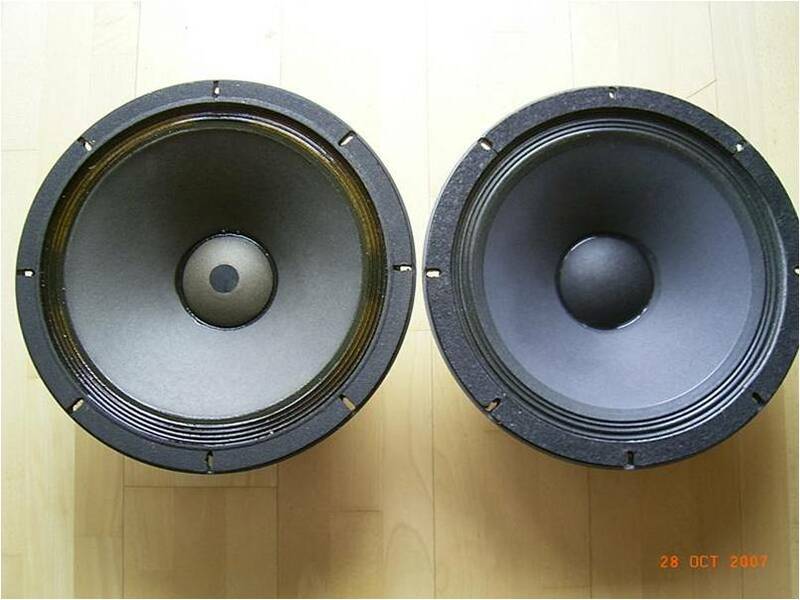 Speakers that have rule flat frequency response in the upper rage usually don’t have much bass, and vice versa. Another important part is the music, to be more precise, the type of music. 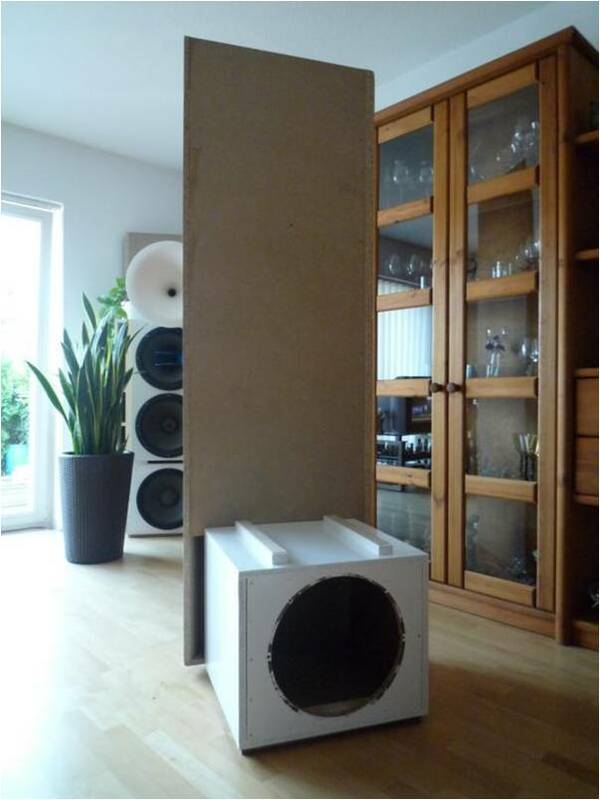 If you want to limit the playback just on jazz, pop or classic music, you will quickly find a nice sounding enclosure. But the problems will increase exponentially if you listen to many different genres of music. Because of these reasons, I’ve started to experiment. So, that’s how the never-ending story of trying out began. First of all, I’ve only concentrated on visual characteristics. 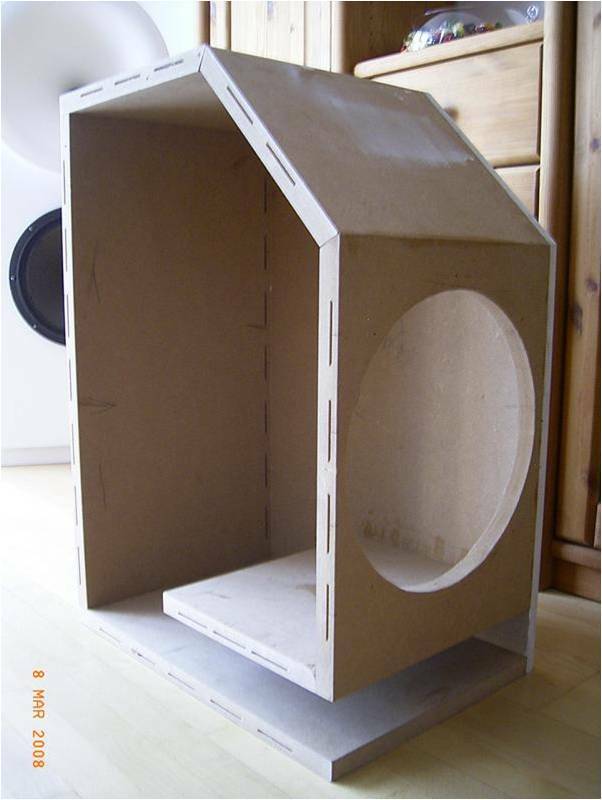 My first dream was to build a box that looks quite similar to the Oris system. 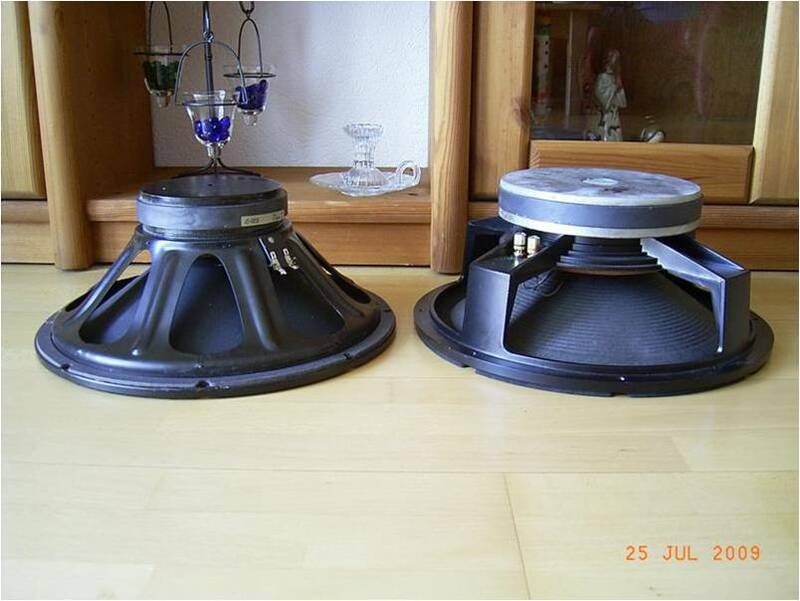 Speakers that were used in those days: Altec 3156 and 288 with an attached Jabo horn. 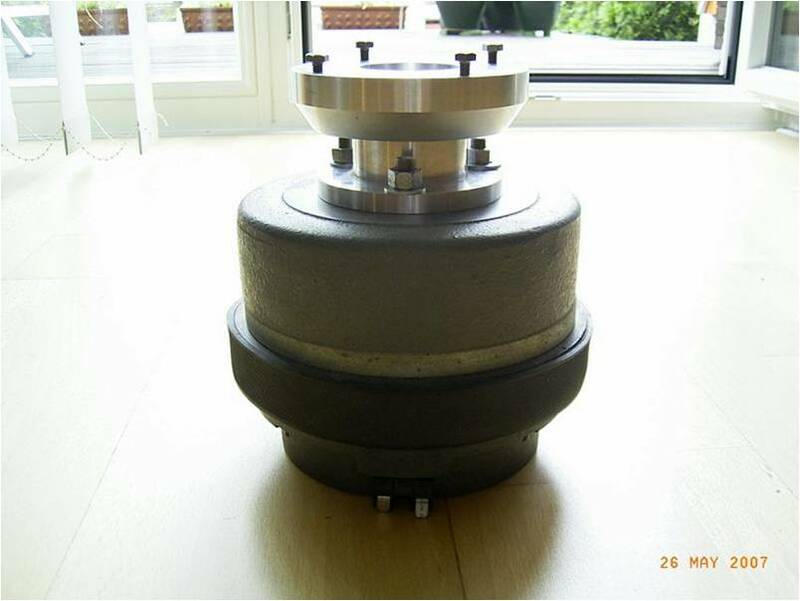 In addition, a high quality 2-Way crossover is used with an 800Hz crossover point. Even in the testing phase, I have realized that this box can’t reach the deep bass that I wanted to have. I’ve played bass for years. So it was clear to me that it is not solid bass. It was no wonder that this project ended right here - without it even began. My next fascination was called Onken enclosure. 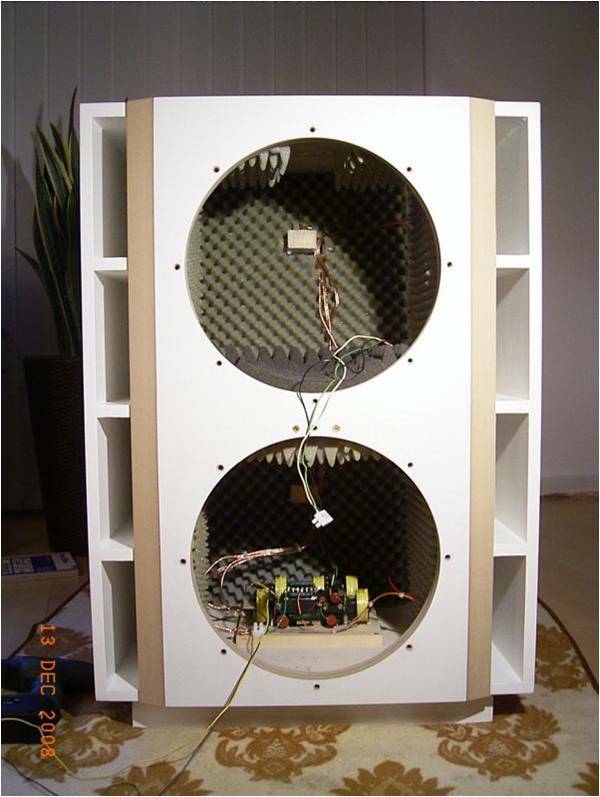 That kind of enclosure is known for its abysmal bass and also very popular among bass-freaks. Within a short time, a new system has found a place in my living room. In this case I decided to use the classic: Altec 416. The rest was taken over from the previous project. 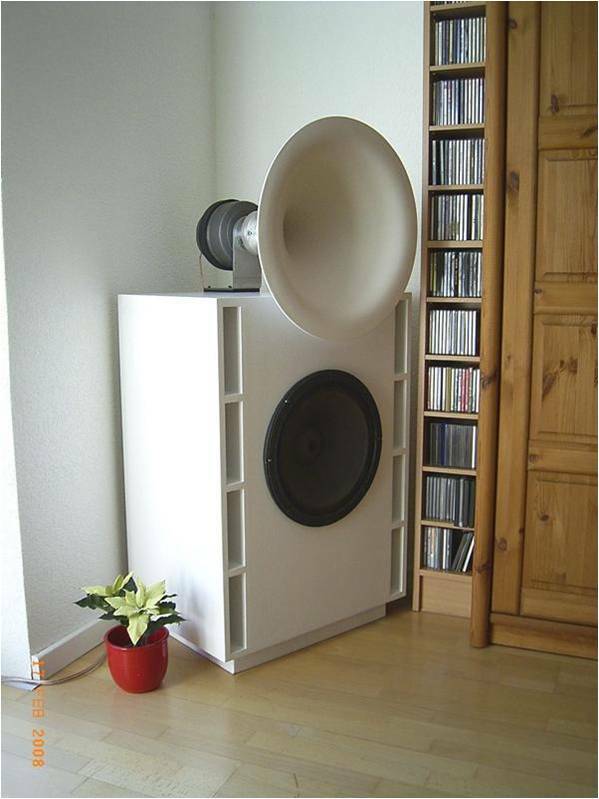 For this Altec setup, the tweeter and midrange sound fantastic. Unfortunately, the bass was still not the one that I was looking for. Improvements were done quickly. I’ve made a new crossover out of high quality components. All this efforts were okay… but not great. 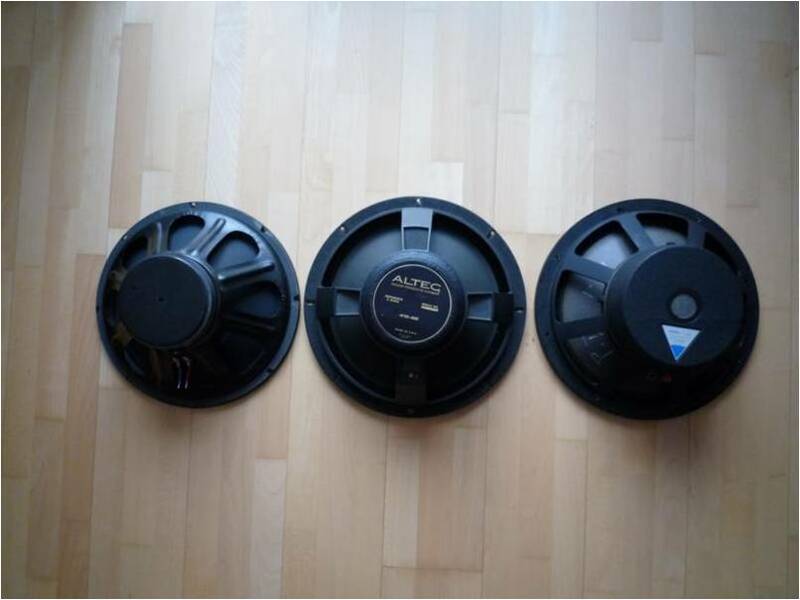 Purely by chance, a friend borrowed the Altec 604-8G – a world class duplex speaker. This was even the improved studio version by Urei. A quickly installation made me realized that this was one of the best speakers that I’ve ever had / heard. 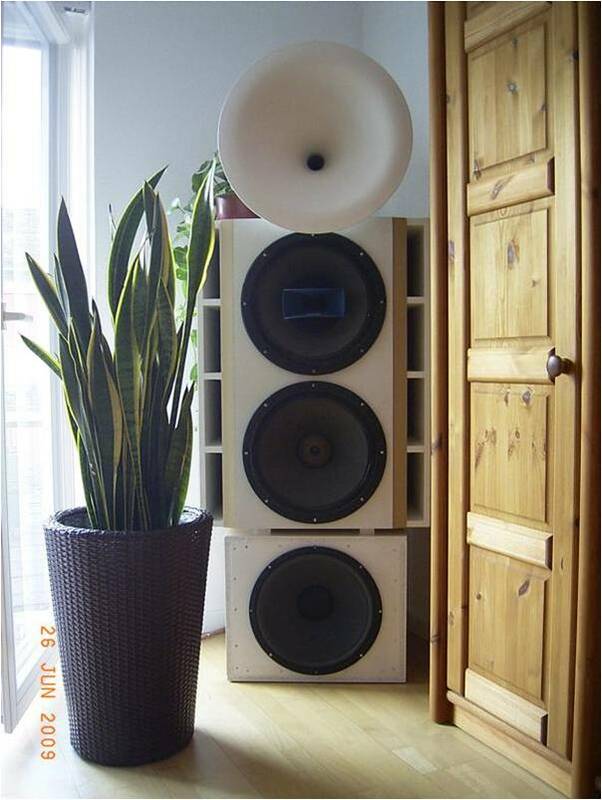 Unfortunately, these speakers are rare. 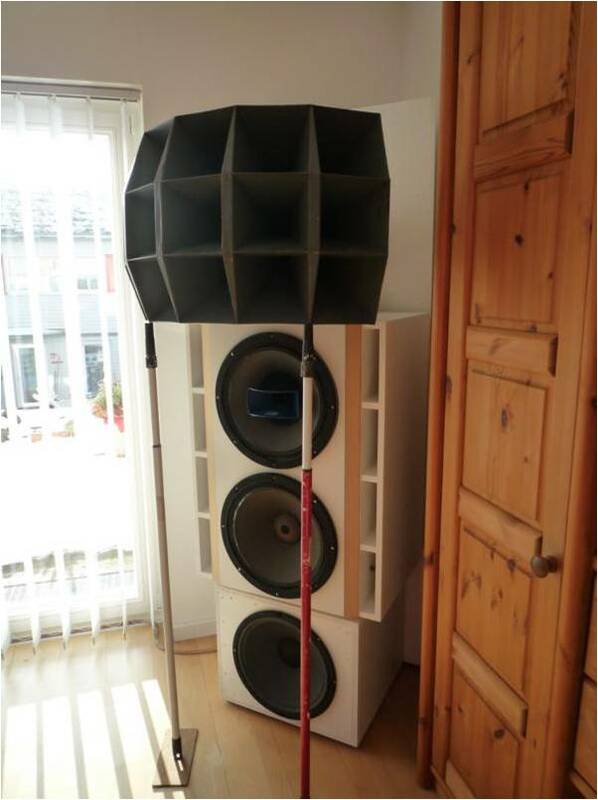 After a month’s long internet research, there it was: a pair of Urei 813 system in New York was for sale. Bull’s-eye! At this point: Thanks Steve! Many days later, I’ve received a 60kg heavy delivery! 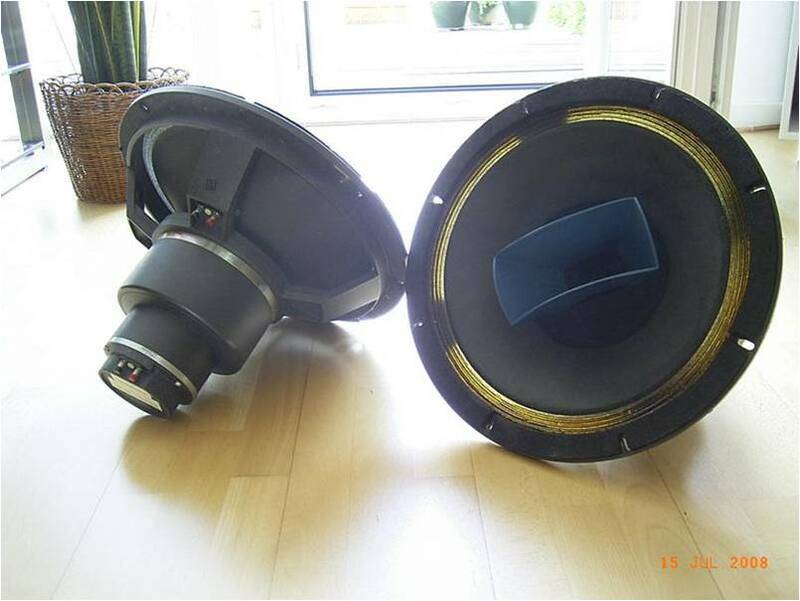 The package I’ve bought had a pair of Altec 604-8G 16” + Urei 800H horn, a pair of Eminence 15” as bass driver and a Urei 838 3-way Network. I had to build a few new front panels to integrate these components in my system. 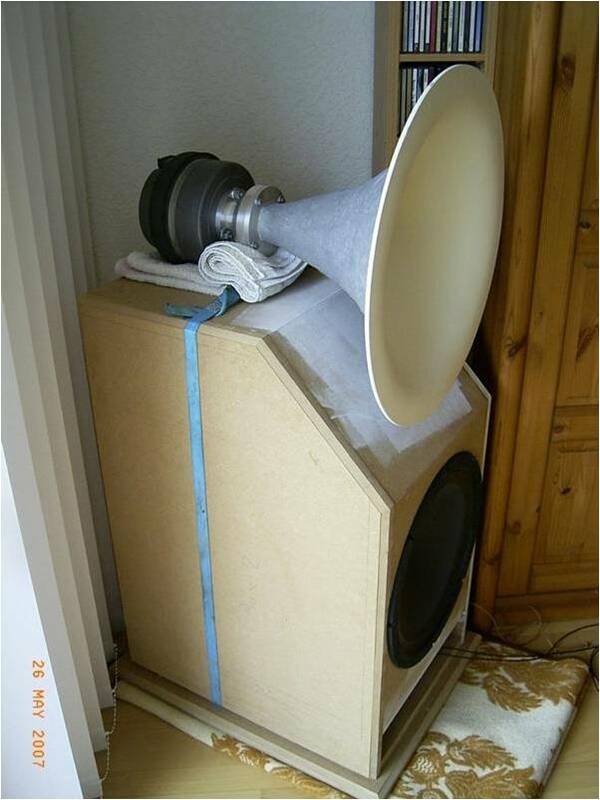 The top was equipped with my Altec 288 with the Jabo horn. 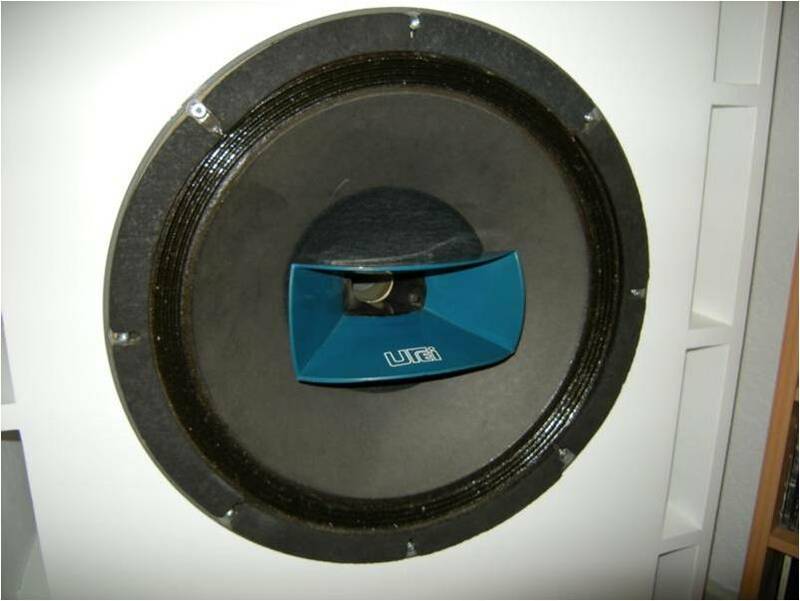 With external control, it was possible for me to switch between the tweeter of the Altec 604 and the Altec 288, a pretty useful implementation. 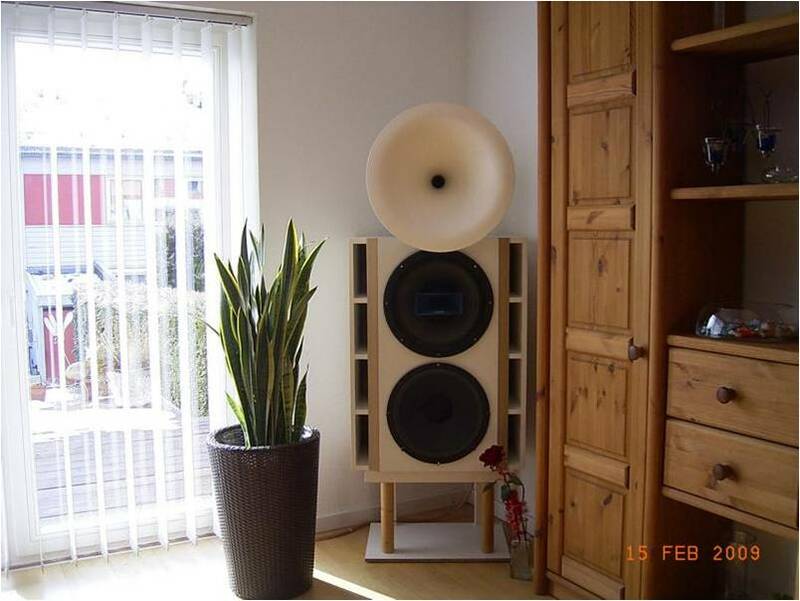 The tweeter and the midrange area sounded absolutely brilliant. The desired extreme dynamic bass was still not reached. The Onken chassis was just way too small for that system. 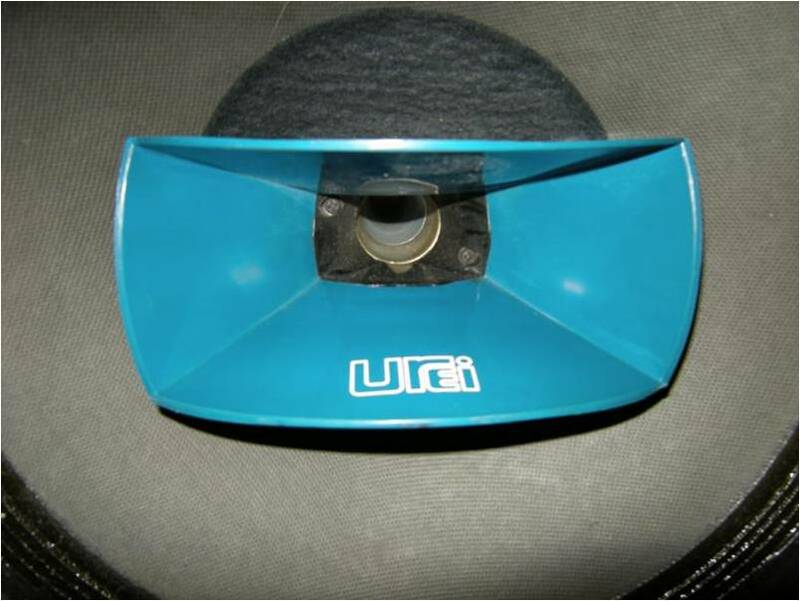 The original Urei box was two times bigger and had a smaller bass reflex tube. Out of desperation I’ve tried to swap the Eminence with Altec 416. 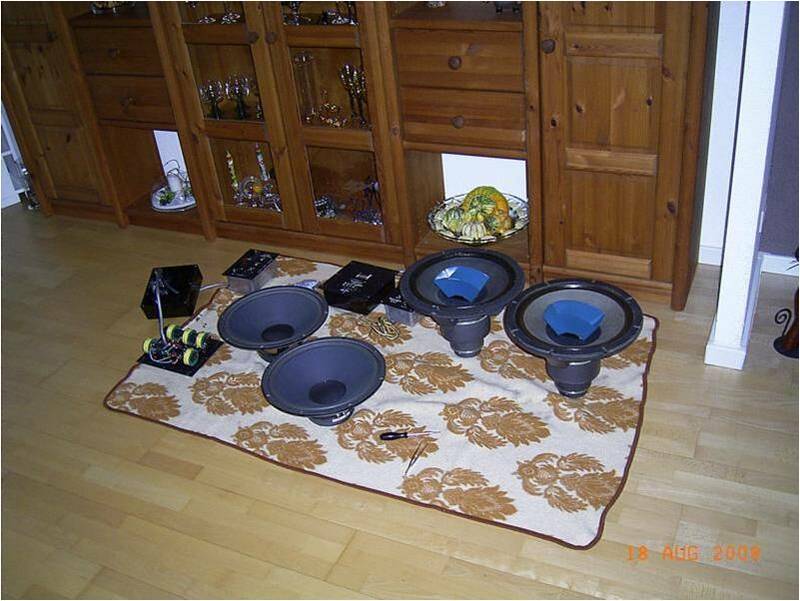 Later, I’ve built some for additional tests and run them in parallel to augment the bass… My dream was still not fulfilled. 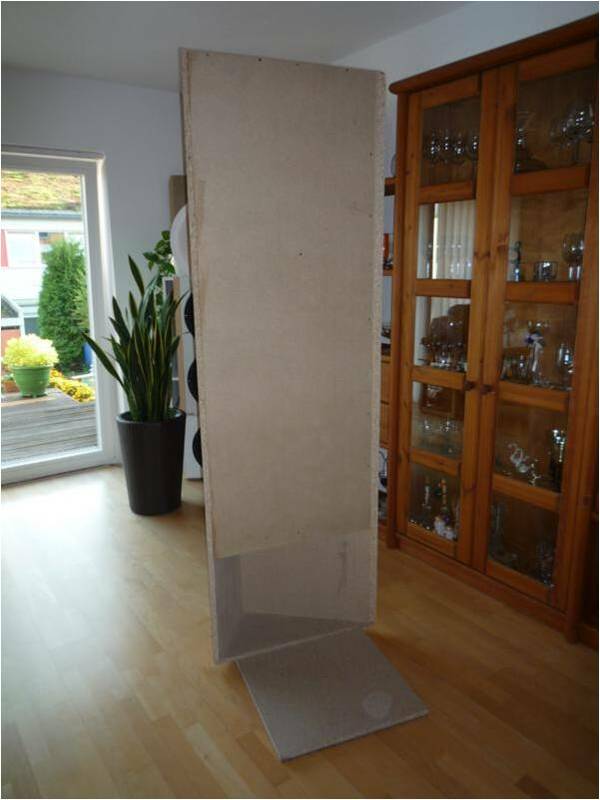 Because the boxes are in the corners of my living room, I had the idea to utilize the unused triangular space between the walls and the boxes (which is at least 100 liters!). I knew that transmission line chassis could produce powerful bass. My concept was to build the triangle space as a transmission line and place the one box I already had in front of it, summing up to195 liters. 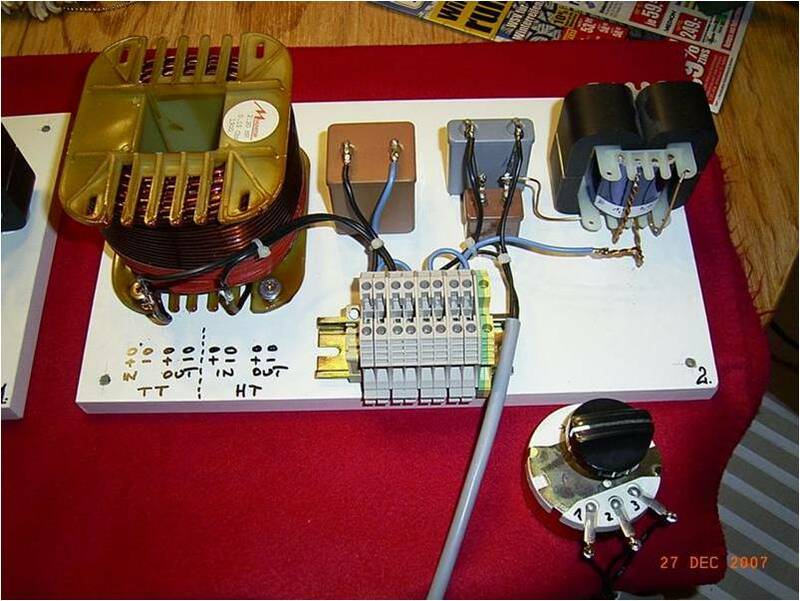 In that enclosure, the Eminence should work over a separate switch. 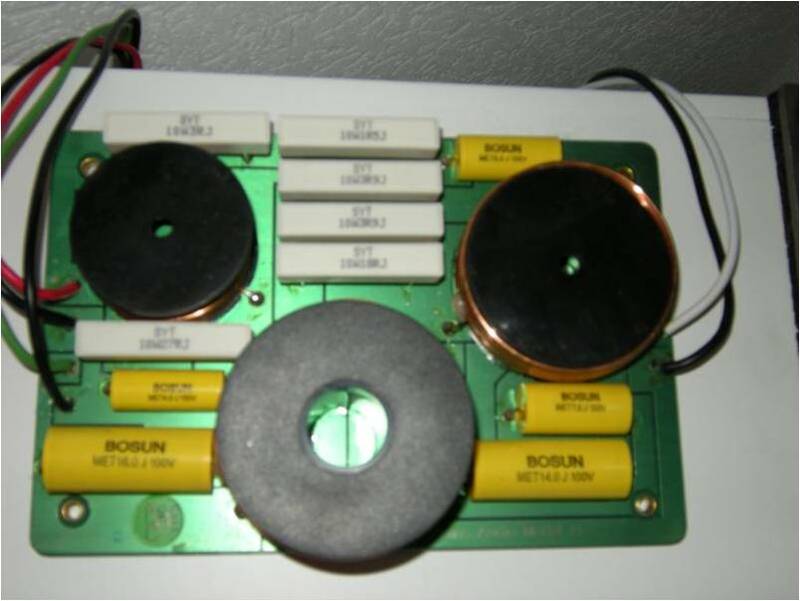 This system is pretty powerful, but the bass… The Onken makes a rounded sound, unfortunately, without color or soul. Altecs are classy of course. 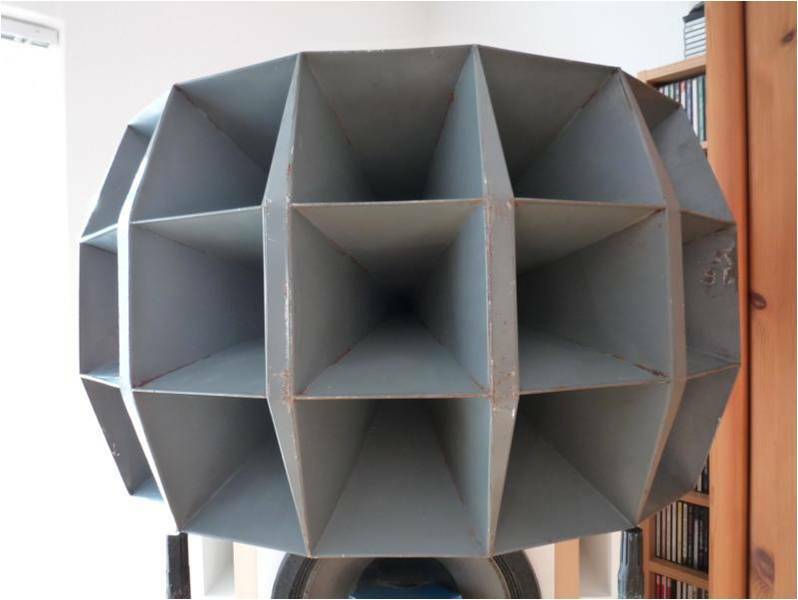 They just don’t have a strong bass, unless you are working with bass horns like the VOT 7. 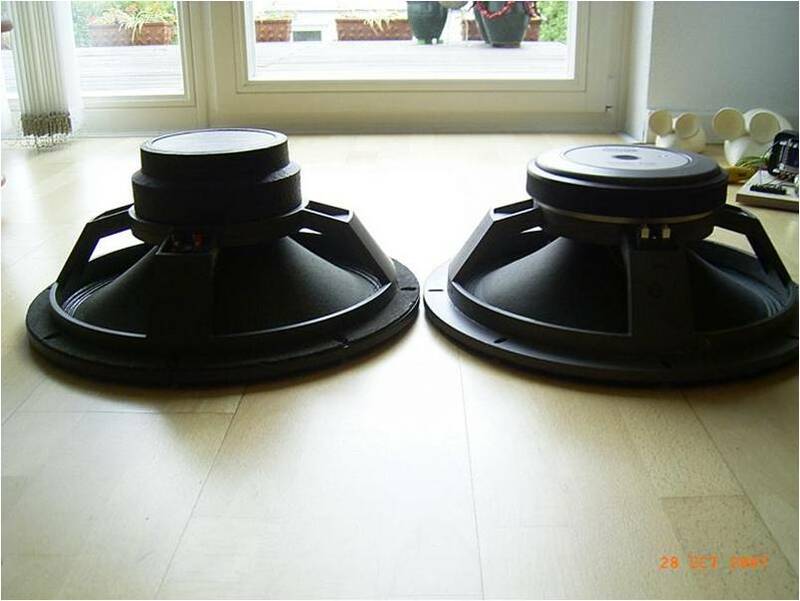 But these need a huge space that the deep bass sound can spread out. For the past few years, I’ve learnt that the Altec 604-8G together with the Urei 800H horn are amazing speakers. In fact they need a box with a big volume. I guess I’ll never sell my 604. Who knows maybe I will someday. One more thing, meanwhile, I had the chance to try out a rare multi-cellular horn. My first conjecture was that they may sound “tinny” because of the metal construction. Also the huge size of the horn has demotivated me. However, my hard work was compensated. The function of the horn is incredible. It has very soft and soothing texture. 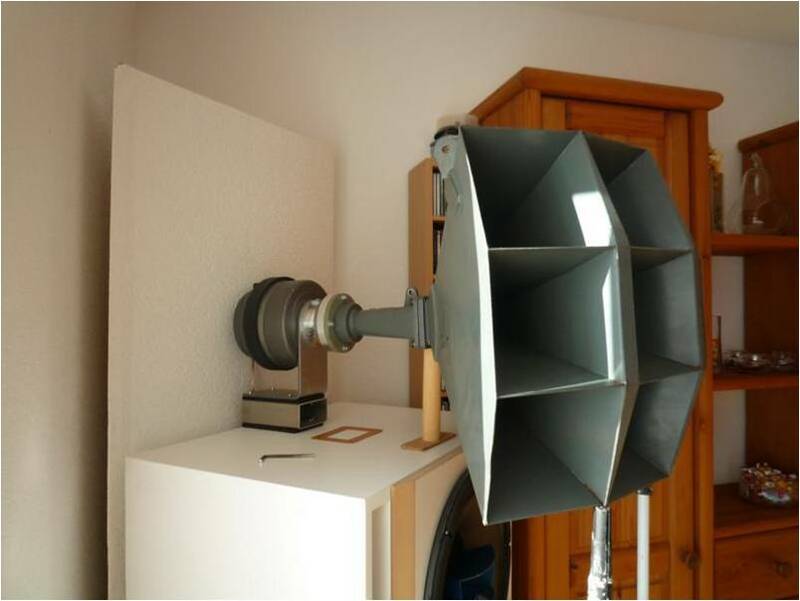 The sound fills the whole room and the horn really does not attract much attention. It is no comparison to the Jabo horn. So, if somebody has a lot of space and money, they will be happy with it. More information will (maybe?) follow with the next article in mind.